With shoppers looking for that little extra treat at Christmas, the demand for premium own-label continues to rise, according to this recent report. Collingwood have worked with a number of premium / high end food manufacturers and distributors who have already taken advantage of this, with strong rises in profit margins. As consumers we are continuing to see an increase in continental imports and influence in our supermarkets. Competition for such products is also strong in the likes of Aldi and Lidl, with the other supermarkets following suit. Large Spanish ham's seem to be on trend this year for example. How many of you will be having one of these over the Christmas period? 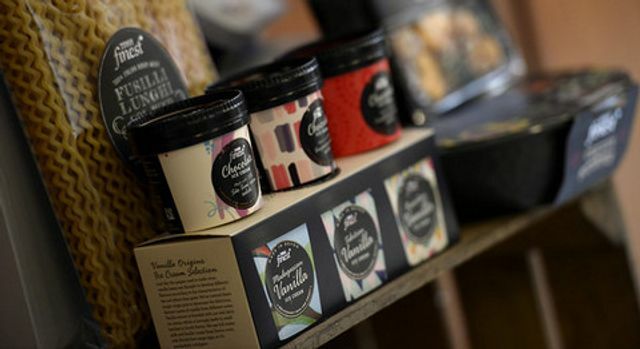 Premium own-label food and drink sales revenue increased 13% in the 12 weeks to December 4, compared with the same period last year, Kantar Worldpanel has revealed. Almost 90% of shoppers buy “top-tier” own-label products – including Tesco Finest, Sainsbury’s Taste the Difference and Morrisons’ The Best – according to Kantar’s latest grocery share figures. Premium own-label sales accounted for 6.3% of total own-label sales, the market analyst revealed – 0.6% more than the same period last year. Kantar Worldpanel head of retail and consumer insight Fraser McKevitt said: “We’ve seen particularly impressive performances from Morrisons’ The Best, which saw sales increase by 35%, and Asda Extra Special, which grew by 15%.